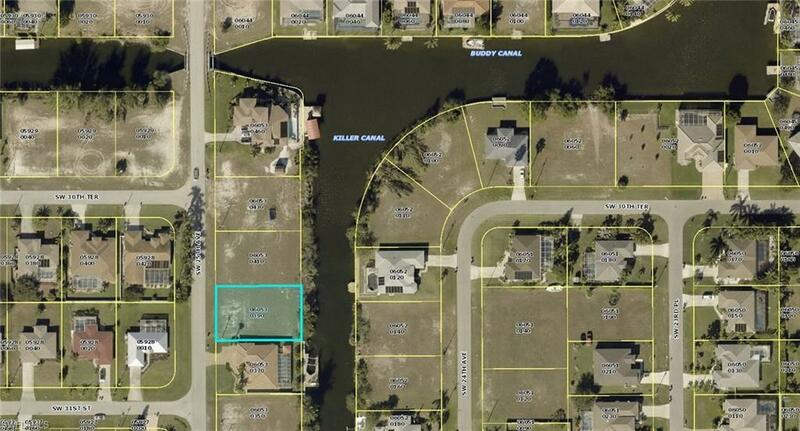 GULF ACCESS LOT, It has City water and sewer available, This buildable lot is located in an outstanding SW area of Cape Coral. Close to everything, supermarket, restaurants, Schools and more. Conveniently access to Fort Myers Beach, Sanibel & Captiva Islands and SWFL International Airport. You can fish on this canal or have fun boating.